It's not often that you can get your hands on a sneaker worn by both Penny Hardaway and Michael Jordan, but that opportunity will present itself next month. It's not often that you can get your hands on a sneaker worn by both Penny Hardaway and Michael Jordan, but that opportunity will present itself next month. 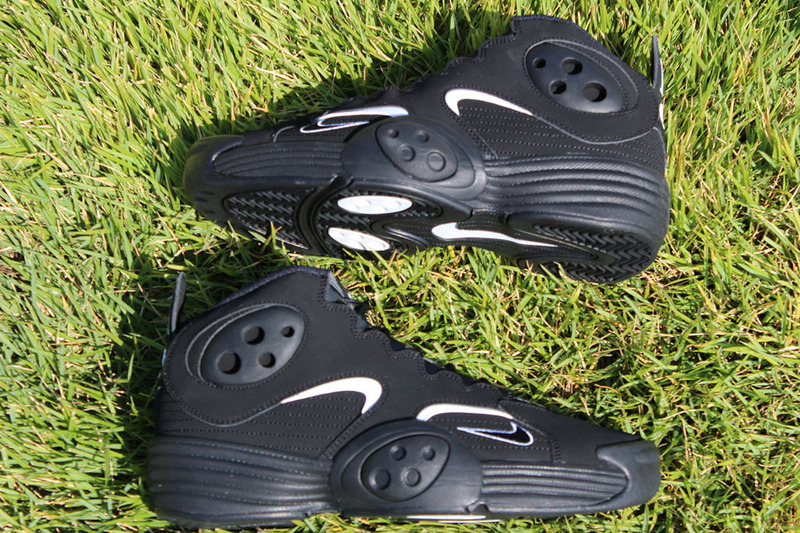 After a 17-year hiatus, the Nike Flight One is back in its original Black/White make-up, featuring a durabuck build and pinstripe tongue detailing. Official drop is set for Wednesday October 3, but Rock City Kicks is currently accepting phone orders.